We recently talked about Robot Koch because of his solo album but this time I'm talking about him because he's also involved into Jahcoozi along with Sasha Perera and Oren Gerlitz. Active since early 00's with on their back releases for WMF Records, Kitty-Yo or A-Records, the trio is now releasing through BPitch Control their third album BAREFOOT WANDERER. If you were used to Robot breakbeats, well in this case you have to look somewhere else, but if you are into pop, dub, reggae and deep bass lines the eleven tracks of the album would satisfy your thirst for chill-out atmospheres. As the title suggests the band approached to the album with a new spirit and thanks to the Goethe Institute they went to Kenya to record the track "Msoto Millions" along with MCs from Uko Flani, a Kenyan dancehall/reggae crew in Nairobi. This was the first of their collaborations but this album see the band traveling and collaborating with people overseas (percussionist Guillermo Brown from New York or clay pot percussionist Oori Shalev from Israel) or in Europe (Belgian singer Barbara Panther). Ethnic influences found their home into the upbeat rhythmic textures of BAREFOOT WANDERER and if you aren't afraid of a jazzy vocal approach mixed with dub electronics you can check Jahcoozi. Personally "Wasteland" was the track I appreciated most because of its light ethnic percussion that duet with a soft female vocal and synth waves. Since the successful comeback of the Norwegiean Industrial Rock/Metal heroes last year the boys work hard doing what they do the best; music. Alex & Kim and their partners in crime wanted to show everybody that it would take them less than f years to release a new Zeromancer album in contrary to the case with their previous full-length CD "Sinners International". In the last 13 months Zeromancer has been very busy and fruitful: they released an album, competed a comeback tour, released an EP and now the brand new album "Death of Romance" is being presented to pick up where the band left off. Zeromancer is a neologism consisting of zero+romance= hence not very romantic. The title of the new album means approximately the same, thus the album is almost self titled and it deals with the painful topic of relationships that end but these Norwegians don’t see it necessarily as a bad thing. The former self-proclaimed Industrial boy band believe that if two people do not fit to each other (any more) it is not a bad idea to split up. Music-wise, the album stands in the previous Zeromancer tradition and so rather distinctive: cold, sometimes emotional, sometimes sober till it hurts. Not all the lyrics are easy to understand and remain open to the listener’s interpretation. The topic of religious cults is mentioned too, but you don’t have to be a specialist on sects and small distant communities to enjoy the album. The production was conducted on a very high level; a truly juicy sound. This is an absolutely solid CD but still I miss here outstanding numbers like "Dr Online", "Clone your Lover" or "It Sounds Like Love". The songs are fairly and equally good, no reason to grumble but no real killer-tracks this time. 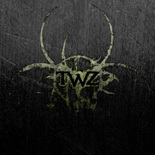 The Swedish mystic Dark Electro-attack T.W.Z. strikes back after ist latest album "Evolution", also released by Advoxya Records 1,5 years before. In the meantime there have happened some massive internal problems with the band members and the upcoming stylistically direction of this project, so that nowadays only Richard K. Szabo is responsible for all music- and business-related decisions. Musically this has left some influence on the new tracks of T.W.Z. Dedicated to the well-known author and visionary Carl Sagan, who passed in 1996, and his "The Lost Civilization" theories, "Serpent Column Portal" offers several more breeding sweep sounds, orchestral layers and a sicker ominous mood than ever discovered before. As we know, T.W.Z. has a preference for high developed cultures like the Maya or Eschaton theories, which went down to transform those sagas and science into the present with a negative impact on mankind – also this album is filled with this mysterious and scientific content. Still arranged under a solid kick and snare work, the tracks itself are again straight-oriented and forward-moving, the often described hypnotic bass line programming remains to be the trademark to this project. What’s new is the integrated diversity in the usage of the main vocals. Richard’s extremely abrasive vocal performance got more often fx-penetrated than before, and stands no longer that obviously in the foreground of the mix, though that fx-usage does not completely convince ("Drown Them All" could be considered). Female co-vocals provided by SOLSKUGGA on three, and DEATH IN BERLIN on one track are standing for another development worth to mention. Also new is the concentration to offer more and more different snare- and hi-hat sounds, as well as the usage of a generally more low-fi oriented sound design – let’s assume, that VST-technique has helped globally on the whole mix. As usual and as a repetitive procedure, albums of T.W.Z. aren’t at all a form of easy-listening and may need 3 – 4 spins more to find a satisfying consumption. Also as usual – this stuff is worth to invest the time.